If you met Ana, you’ll easily remember her. 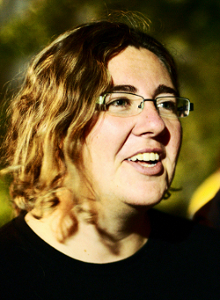 She has a great and pronounced Spanish accent… 🙂 I’m glad that the existence of the Debian Women project helped her to join Debian because she has been doing a great job. From KDE packaging to publicity/marketing work, her interests shifted over the years but this allowed her to stay very involved. As she explains it very well, Debian is big enough so that you can stop doing something which is no longer fun for you, and still find something new to do in another part of Debian! Read on to learn more about Ana, the KDE team, Debian’s participation to the Google Summer of Code, and more. Ana: I’m Ana Guerrero López and I’m in my early 30s. I was born and raised in the wonderful city of Sevilla, Spain and I live in Lyon, France. I share my life with another Debian Developer and my paid work is doing Debian support and integration, so you won’t be surprised to read that Debian is a big part of my life. Ana: Although I knew about the existence of Linux since 1997 or so, I didn’t really start using Linux until the summer 2001 when I finally got a computer on my own and an Internet link at home. In the beginning, I was using Mandrake in a dual boot with Windows and later around 2003, I happily moved to only using Debian and ditching the Windows partition. Once settled as a Debian user, I knew anybody could help improve the distribution but I hesitated to join mostly due to two reasons, my perception of Debian was the one of a very elitist and aggressive club and who wants to join this kind of cult^wproject? And even if I wanted to join, I did not know how to get started. By the summer of 2004, the Debian Women project started, it made me seeing Debian as a more welcoming project, and I started maintaining my first packages. The following summer 2005, I attended akademy 2005 (the annual KDE conference) where I had the pleasure to meet there some of the people from the KDE team and this really made a difference for me. Christopher Martin and Adeodato Simó, with the help of other people, have started the maintenance of KDE as a team a few months before and by that time most of the KDE modules where under the maintenance umbrella of the team. This was a very good move since it allowed easily to share the KDE maintenance in a more coordinated way and also eased having non-DDs, like me at that time, to join in and help. The Debian Women project started, it made me seeing Debian as a more welcoming project. Raphael: You’re part of the Debian KDE team. What’s your role in the team and what are your plans for Wheezy? Ana: Nowadays, I am not as active in the KDE team as I used to be in the past. The KDE 3 to KDE 4 transition was quite tiring and changes on the KDE side like the successive marketing renames, the shorter 6 months schedule (it used to be at least 9) or the uncoordinated KDE releases mostly burnt me out. Currently, I am mostly working in helping others to get started within the team, some small fixes here and there, and helping with the uploads: an upload of the full KDE suite to the archive requires some building power and upload bandwidth not everybody have. For Wheezy, with the tentative freeze date in June, the plan is to try to ship the latest possible point release of the KDE 4.8 series. The first release of the series, 4.8.0 was released a couple of weeks ago and while writing these lines, the packaging work for 4.8 hasn’t started yet. The next move for the team is getting 4.7.4 in unstable, currently sitting in experimental. For Wheezy, […] the plan is to try to ship the latest possible point release of the KDE 4.8 series. Besides the KDE packages, there is some software which users perceive as KDE, such as amarok, digikam, etc., which are not part of KDE but fall under its umbrella. These other programs have their own maintainers and their updates depend greatly in the availability of them. For the KDE office suite, we have right now KOffice in the archive. KOffice got a fork some time ago named Calligra and we should replace KOffice by Calligra in the archive before the release of Wheezy. Sadly there isn’t yet a final release of Calligra to use. My personal goal for Wheezy was to finish the removal of all the remaining packages depending on KDE 3 and Qt 3 that Squeeze still contained. The removal of the KDE 3 libraries and all the packages using them was quickly achieved after the release of Squeeze. The removal of Qt 3 soon showed that it was task harder than expected since some popular packages (sometimes not in the Debian archive, e.g. third-party scientific software) depend on it, and also Qt 3 is a requirement for LSB compatibility. Right now, Qt 3 has been orphaned for 9 months and nobody has shown any interest in adopting it. Raphael: KDE, much like GNOME, has been forked by people who were unhappy by the direction that the project has taken since version 4 (cf Trinity). What’s your personal opinion on KDE 4.x and what’s the position of the Debian KDE team concerning this fork? Ana: I use KDE 4 on my laptop and I think it is a solid desktop environment and platform. However I am finding it less and less attractive for me. On one side, my usage of the computer has been slightly changing and on the other side, I do not like how the new developments in KDE are evolving, things like plasmoids or activities are not attractive for me. I have switched my other 2 systems to awesome although I continue to use mainly a bunch of KDE applications: dolphin, konsole, kate, juk, kmix, etc. So you might say my desktop environment is an awesome KDE. Regarding the Trinity project, a lot of users complained very loudly when KDE 3 got replaced by KDE 4 in testing/unstable, so I find quite laudable the decision of some users to act instead and try to continue with a forked development of KDE 3. However the Trinity team seems to be about 3 persons (funny for a project named Trinity :)) while KDE 3 is big. In perspective, it does not look that big because KDE 4 is even larger, but it is still too much for such small team. In addition those developers need to maintain Qt3 that has been end-of-lifed years ago by Nokia/Trolltech¹. So my guess is that sooner or later the project will fade away. Nobody from the KDE team is interested in Trinity and in case someone wants to package it for Debian, they would have to make a new team. For the reasons mentioned above: Qt3 maintenance and reduced upstream group, this would be a bad idea. My advice if you do not like KDE 4 and you miss KDE 3, would be taking a look at razor-qt based on Qt4 and quite similar to KDE 3. Raphael: You used to maintain news.debian.net, a WordPress blog dedicated to Debian, but you stopped a while ago. A few months later you started to maintain a Debian page on Google+. Why did you stop the blog and what’s your goal with the Google+ page? Ana: I blogged about the reasons I started news.debian.net. In short, I thought Debian needed a better system to publish news, something like a blog. I first tried to suggest the idea to the press/publicity team but they weren’t interested, so I started the project alone. IMHO the blog worked quite well and I was feeling like it should be made official. I talked about this with some people but at the time I wasn’t pushing it because I had other priorities and I knew pushing it to become official would need some extra time and energy. Stefano decided to start the discussion about making news.debian.net official (that’s moving it to a debian.org domain) in its own initiative. After the public discussion and some private exchange of emails with DSA, the situation became frustrating and I decided to close news.debian.net after the release of Squeeze. Later, during DebConf, an officer from the press team announced they were launching a blog and I asked Stefano if he could try to have a discussion about this to see if it could still somehow fit my ideas, and maybe contributing myself, but nobody from the press team answered Stefano’s email and the blog hasn’t started yet either. Irony that communication didn’t work when wanting to improve communication. About the Google+ page, everyday I follow what is going in Debian and quite often I find things I want to share. I do not want to clutter my own profiles with Debian stuff or have people following me because of that, so I decided to create the Debian page when Google+ made them available. I like the fact that people can follow that without having an account in Google+ although they can not comment anonymously. I am not happy about the fact that Google+ is a closed platform but hopefully the data will become easier to export in the near future. Right now, there are some services that provides RSS feeds of Google+ pages if you want to follow the page and you are not in Google+ (or I could setup one if several people ask me). Raphael: Last year you helped to manage Debian’s participation to the Google Summer of Code. How did it went? Is there something that you can improve for this year? Ana: I think last year we managed to have people in Debian more aware about what the students were doing. That also helped students to get more feedback and therefore get to know more people in the project and get more integrated. Students were sending periodic public reports available to everybody interested in the status of the projects and some of them also held their own sessions in DebConf. We still failed to start looking for mentors early enough and to give them information about how the GSoC worked and how they could have a successful project. Having good projects in Debian is harder than in other projects because the GSoC mostly promotes having students started in Open Source *coding* for a project, while Debian is more a project about integrating software and we overall do not have so many parts that has to be coded. My personal goal for this year is to try getting the projects earlier to attract good students from the very beginning, even if that means we have less projects than in other years. Ana: Three things. I like improving the OS I use, I like the friends I have made while working in Debian through the years and because I have fun. Also Debian is quite a big project, so if you become tired or burn out working in some area, you always can easily find interesting things to do somewhere else. Ana: Adeodato Simó, he is now in a long leave from the project, but it is one of those persons who made a difference in the project in his job in the release team some years ago. Aurélien Jarno because of his tireless work in (e)glibc and porting of several architectures. I also have special admiration for all those people who have been very active in the project for more than 7-8 years because I know it is not always easy to combine it with real life. Thank you to Ana for the time spent answering my questions. I hope you enjoyed reading her answers as I did. Note that older interviews are indexed on wiki.debian.org/PeopleBehindDebian. Read on to learn more about the pkg-gnome team, its plans for Wheezy, Josselin’s opinion on the GNOME 3 switch, and much more. Josselin: I am a 31 years old Linux systems engineer. I started in life with physics, which I studied at the ENS Lyon. I started a thesis on experimental and numerical models for optoelectronics, but when it became clear that research was not for me, I abandoned it and accepted a job at the CEA, which holds the largest computing center in Europe. Working on these machines has been the most awesome job ever (except for it being near Paris). After that I worked a bit on system monitoring technologies. I am married, currently living in Lyon, and working for EDF (the French historical electricity company) on scientific workstations using Debian. EDF is using Debian on more than a thousand workstations and holds the fastest Debian supercomputer in the world (200 Tflops), which makes it another obvious place for Debian developers. 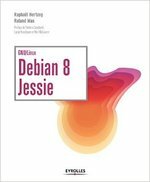 Josselin: I discovered Debian in 1999 while studying at the ENS, which is one of the biggest nests of Debian developers – while being a small place, it is producing almost one Debian developer per year on average. After wondering for a while what it could be useful for, hacking on a slink snapshot made me think that it was for, well, everything except for gaming. Later, in 2002, when I was working on optoelectronics computing codes, I started to package them for Debian in order to make them easier to install, for us as well as other labs over the world. I started the NM process, and it was going smoothly but also going to take time. However, at that moment, the frozen-bubble game went out and made quite some buzz. Since I knew a guy who knew the game’s developer, he asked me to package it. The package found 3 sponsors in a very short time and was fast-tracked into the archive at a speed that was unseen before. After which the NM process was completed very quickly. At that time, I was a heavy WindowMaker user, but I didn’t like the direction the project was taking (actually, I wonder if there was one). GNOME was starting to become attractive, but its packaging in Debian was very ineffective, with many inconsistent packages maintained by people who didn’t ever talk to each other – some of them didn’t speak English, and some of them didn’t talk at all. Together with awesome people, among which Jordi Mallach, Gustavo Noronha Silva, JHM Dassen, Ross Burton and Sébastien Bacher, we started the GNOME team in 2003, introducing consistent packaging practices, and initiating synchronized uploads. Releasing a completely integrated GNOME 2.8 in sarge was a considerable achievement; proving (together with the Perl team) that a team was the best way to maintain large package sets changed the way people work on Debian. Raphael: You’re one of the most active contributors of the team which is packaging GNOME for Debian. What would you suggest to a new contributor who would like to help the team? Josselin: There are several ways to contact the team, but the recommended one has always been IRC. We hang on #debian-gnome on the OFTC network, so just come around and ask for us.¹ The real question is what you want to do in the team. Of course, most new volunteers want to help packaging the latest and greatest version of GNOME into unstable as soon as possible, but unless they already have Debian background, this is not the easiest task. Since there are already people working on this, the “big” packages are usually waiting on dependencies. I used to direct newcomers towards bug triage, but it is a tedious task and I’m now convinced that our huge bug backlog will never be dealt with. The most useful thing to do for newcomers now is probably to find a GNOME or GNOME-related package that needs improvement or is lagging behind, and simply try to work on it. You can also come and fix the bugs you find annoying. Find a patch on the GNOME bugzilla, or cook it yourself, propose it, and if it’s worthy enough you’ll soon get commit access. ¹ At this point I feel worth mentioning that if no one answers in 10 minutes, it doesn’t mean that no one will answer in 2 hours, so please stay on the channel after asking. Raphael: There’s been some controversy about GNOME 3 and the direction that the project is taking. What’s your personal stance on GNOME 3? And what’s the position of the pkg-gnome team? The lack of configuration options has been an ongoing criticism since GNOME 2.0 has decided to rip off most of them. Of course, when the control center was redesigned again for 3.0, there was a surge of horrified exclamations from people who missed their favorite buttons. On this topic, I fully concur with GNOME developers. The configuration option that is useful for you is not necessarily useful for someone else. Of course, sometimes developers go a bit too far, but the general direction is right. At work, we found that only a minority of users actually configure anything on their desktops: they just want something that works to launch their applications. Apple and Google have sold millions of devices by making them the simplest possible and without any configuration. Design decisions are, on the contrary, individual decisions, and each of them, while having reasons behind it, can be questioned. I remember seeing a lot of complaints when the OK and Cancel buttons were reversed in dialog boxes, something that nobody questions anymore. GNOME Shell is full of such changes; some are easy to get accustomed with, some others just make eyebrows raise. The most obvious example is the user menu in GNOME 3.2, which contains an entry to configure your Google account, but no entry to shutdown the computer. Both decisions were taken independently, each of them with (good or bad) reasons, but the result is simply ridiculous. The default configuration in Debian will contain an extension to make it a bit better, but on the whole we don’t intend to diverge from the upstream design, on which a lot of good work has been done. Point 3 is more complex. Red Hat being the company spending the most on GNOME, it is obvious that their employees work on making things work for their distribution. An example is the recurring discussions about relying on system services that are currently only implemented by systemd. Since there is a lot of (mostly unjustified) resistance against systemd in Debian, and since it won’t work on kFreeBSD anyway, someone needs to develop an alternative implementation of these services for upstart and sysvinit. Everything is in place for someone else to do the job but it has to be done, and this can be frustrating. Especially since it can also be hard to integrate changes needed for other distributions¹. Hardware requirements are mostly a consequence of the previous criticism: there’s hardware that most distributions just don’t want to bother supporting. We’ve seen it in squeeze with the introduction of a hard dependency on PulseAudio. The Debian GNOME team (together with the Gentoo maintainers) made this dependency optional, carrying heavy patches, in order to cover the cases where it does not work. Now that it has gained more maturity, making this effort obsolete, the new tendency is to require 3D acceleration. For various reasons, it is not available to everyone². On this matter, the position of the Debian GNOME team has always been to support as much different configurations as possible with reasonable effort. Thanks to efforts from the incredible Vincent Untz, upstream supports a so-called “fallback mode”, which is the GNOME panel from 2.x with a lot of its bugs fixed. We intend to support this mode for as long as reasonably possible in Debian, possibly even after upstream ends up dropping it. However, other applications are going to require 3D because GStreamer is moving to clutter too, affecting video playback performance on non-accelerated systems³. For epiphany this is not a problem; only embedded video will be affected. But for totem, this is a major issue; because of that we will probably keep totem 3.0 in wheezy. Finally, there is a natural human tendency to dislike change (I have it too), and it applies a lot to desktop users’ habits. Needless to say a change of such a scale as introducing GNOME Shell can trigger reactions. However, I don’t think it is reasonable, because of this resistance, to keep gnome-panel 2.x in Debian. This would be a lot of work on obsolete technology, and would prevent the upcoming removal of a lot of deprecated libraries. This time is much better spent improving gnome-panel 3.x in Debian and keeping the “fallback mode” great. One of the change that was made in Debian was to make it easier to find, being available as “GNOME Classic” directly from the login manager, instead of having to find it in an obscure configuration panel. In all cases, I would recommend to actually try GNOME Shell for a few hours before ditching it. I had never been accustomed to a new environment as quickly ever before. ¹ Having seen several of my GDM patches reverted without a warning, I know we are not finished with carrying patches in Debian packages. ² Scientific workstations are a non-trivial example, since there is a measurable effect of using 3D in the window manager on heavy 3D applications. ³ On the other hand, on accelerated systems, this feature should end up improving performance a lot. Josselin: The first goal of the GNOME team is, of course, to provide again a great desktop environment to work on. For wheezy it will probably be based on GNOME 3.4. There also needs to be some work on package management interfaces. Upstream bases everything on PackageKit, but it is not as featureful as the aptdaemon Ubuntu technology. If I have time, I would also like to improve HTTP proxy support, since currently it is based on a stack of terrible hacks. Josselin: Obviously I would like to make GNOME in Debian even better. That would imply working on underneath dependencies (what we now like to call plumbing) to make sure everything is working great. This would also imply working more as GNOME upstream to make it more suitable for our needs. I would also work on large-scale improvements on the distribution, like conditional recommends which I’d love to see implemented¹, or automatic build-dependency generation. I would also work on the installer to make it better for desktops machines. ¹ The idea is to automatically install language packs, or glues between two packages when both packages are installed. Josselin: The obvious answer is the same as the one most people you interviewed before gave: not enough members in core teams. A lot of developers join Debian to work on a small number of pet packages, and don’t necessarily want to be involved with existing teams. It is probably still not obvious enough that the primary way to start contributing to Debian is to join an existing team. But if there is one thing that is preventing Debian from gaining more momentum now, it is a completely different one: the too short support timeframe. 3 years is really not enough for corporate users. One year to migrate from one version to another is too short, and it is not possible to skip a release. It is definitely possible to change that with reasonable effort: the long-term support after 3 years doesn’t have to cover the same perimeter as the short-term one. For example, we could upgrade the kernel to the version in the current stable release, and stop fixing all non-remote security holes. The important thing is to cover the most basic needs: companies are ready to take the risk of having less support if it allows skipping a version, but not the risk of having no support at all. And even more important is to say that you do something. Red Hat says they support a release for 10 years, but of course after 5 years the supported perimeter is extremely small. Long-term support will not magically fix all problems in Debian, but it will bring more corporate users into the picture. And with corporate users come paid Debian developers, who can work on critical pieces of the system. Debian was built on the synergy between individuals and companies, and in recent years – perhaps as a reaction against what happened with Ubuntu – we’ve kind of forgot the latter. A lot of individuals have joined the project, and they are actively working, for example, on shortening the release cycle, which goes against the interest of professionals. We should embrace again such users and developers, and that means adapting to the current needs of larger entities. Raphael: You’re the maintainer of python-support, a packaging helper that was competing with python-central. Both helpers are now deprecated in favor of dh_python2. Does this mean that the situation of Python in Debian is now sane? Or are there remaining problems? Josselin: dh_python2 (and the Python3 version, dh_python3) has a sane enough design. It fixes a lot of issues in python-central and also python-support, at the expense of somehow reduced functionality for developers. However, just like the previous tools, it merely works around design mistakes in the Python interpreter. For example it is not possible to split binary modules, pure-Python modules and byte-compiled modules in different directory trees, like Perl does – although PEP 3147 introduces a way to do so. There is still no sane and standardized way to deal with module versions. There is no difference made between the module (which is a part of language semantics) and the file containing it (an information which depends on the implementation). Developers heavily rely on introspection features and make assumptions based on the implementation, that make it impossible to work around problems with module files. Of course there is the never-sleeping, never-stopping, Michael Biebl who can upload a whole GNOME release in a single week-end. But there are a lot of awesome people who make Debian something that simply works. I could talk about Cyril Brulebois from the X strike force, Julien Cristau from the release team, Sjoerd Simons for his sound advice and work on plumbing, Luca Falavigna who is so fast at processing NEW, to quote only a few of those I work with frequently. And of course, Jordi and Sam for their humor. Thank you to Josselin for the time spent answering my questions. I hope you enjoyed reading his answers as I did. Note that you can find older interviews on http://wiki.debian.org/PeopleBehindDebian. Steve McIntyre has been contributing to Debian since 1996, 2 years before I joined! But I quickly stumbled upon Steve: in 1999, he was struggling with getting his debian-cd script to produce 2 ISO images (it was the first time that Debian did no longer fit on a single CD), I helped him by rewriting debian-cd with a robust system to split packages on as many ISO images as required. I remember those times very well because Steve was very supportive of my efforts and it was a real pleasure to get this done. His friendly nature probably also explains why he got elected Debian Project Leader twice! Anyway, enough history, check out his interview to learn more about the great work he’s doing nowadays. My questions are in bold, the rest is by Steve. Steve: I’m a professional software engineer, 37, living in Cambridge (England) with my new wife Jo. I studied for the EIST degree at the University of Cambridge, then (like many people here, it seems) I just forgot to go home again afterwards and settled here. I spent more of my “study” time playing with Linux than working on my degree, so I guess I’m lucky that it worked and I found a career in that area! Steve: During my time in college, I started hacking on software in my free time, using Slackware as my first Linux distribution from the middle of 1994. After encountering more and more problems with Slackware, I was encouraged by a number of friends to make the jump over to Debian and in October 1996 I did. The installation process back then was much harder than anything people see today, but after a long weekend I finally had my Debian system up and running. I was already one of the main upstream developers for the Mikmod music player at that time, so that very same weekend I applied to be a DD so I could maintain it in Debian too. Back then, the NM process was much simpler: I just mailed a key to Bruce and he set me up with an account almost immediately! Steve: Without a doubt, my proudest achievement within Debian is being elected Project Leader for 2 years by the other developers. It’s a great feeling to have earned the trust of your friends and peers, and also a great responsibility to go and help Debian where needed: talking to the press about Debian, assisting wherever problems crop up, etc. The DPL job is certainly a lot of hard work, and I have nothing but respect for anybody who volunteers for it. Elsewhere, I’ve been leading the Debian CD team for years too, both doing most of the maintenance of the debian-cd package and producing and testing the regular installation CDs and DVDs that we ship to the world. Again, this is a time-consuming job but it needs doing and it’s worthwhile. Raphael: You’re currently employed by ARM. What are you working on and are they supportive of your Debian involvement? Steve: The situation within ARM is very interesting; I’m employed in PDSW (Processor Division, SoftWare), a new group founded just a couple of years back to help improve the state of software on ARM. Most of the people in the group are working on Free Software at this stage (e.g. toolchains, browsers, Linux kernel), which is lovely. Some of the engineers have also been seconded into a new non-profit company Linaro, which is a collaboration between ARM and a number of other companies investing in core Linux software and tools for ARM-based CPUs. I’m one of the ARM engineers in Linaro, and I’m a Technical Architect in the Office of the CTO. My role includes looking at future projects for Linaro to help with (e.g. ARM servers), but for the last few months I’ve been concentrating on the new armhf “architecture” in Debian, Ubuntu and elsewhere. It targets the latest version of 32-bit ARM CPUs (v7) and makes better use of the hardware, for better performance. Compare targetting i686 instead of i386, for example. We’ll still support the older “armel” port for the foreseeable future for users with older hardware that can’t run armhf. More importantly: we are standardising on the ABI / compiler options / hardware support for future users. In the past, there has been a huge amount of specialisation (aka fragmentation) in the ARM Linux environment, and that worked OK for specialised devices that only ever ran the software shipped with them. ARM CPUs are now becoming more and more mainstream, so people will expect to be able to install generic software on their machines. That gives a requirement for a standard base platform, and armhf (arm-linux-gnueabihf in GNU triplet terms) is that standard that we are pushing in the community. Debian, Ubuntu, Fedora, Suse and others are all going to use this, making compatibility possible. I’ve been working with a small team of people to make armhf happen, helping where needed: putting together build machines; patching Debian packages directly; discussing and fixing toolchain issues with Ubuntu folks; agreeing ABI specifications with people from Fedora; advising people from other distros bootstrapping their new ARM ports. Steve: There are three main tracks here. Obviously, I’m interested in seeing armhf release with Wheezy. We’ve just been added to Testing last weekend, so that’s going well. We’ve got over 90% of the archive built now, and we’re mopping up the remaining issues. I’m the primary maintainer of cdrkit at this point, but I’d prefer to have it go away. Xorriso and the associated software in libisoburn is almost capable of replacing all the aging cdrtools-derived software that we have in Debian, The only missing feature that I’m aware of is creating the HFS hybrid filesystems that we use for installations on Mac systems. I’ve been talking with the upstream folks about this for some time already, and I’m hoping we can finish this soon enough that we can get it into Wheezy. Raphael: The ARM community seems to be very interested in multi-arch. Can you explain why? With the historical issues around the plethora of ARM ABIs in the wild, multi-arch will allow us to potentially support multiple ABIs cleanly on one system. That allows users to have (for example) an up-to-date system that makes the most of their current hardware, yet also run legacy programs that might use an older ABI. There’s also a new 64-bit architecture coming (ARMv8) which will run older 32-bit software; again, multi-arch makes mixed installation of old and new software reasonable. ARM has traditionally been a common target for cross-compilation, and I’d expect that to remain the case for a long time to come yet. For a lot of embedded developers, using a big fast i386/amd64 machine to compile is much faster than using a limited-power small ARM CPU. However, setting up sane cross-compilation environments has long been a bugbear for developers. Getting the toolchain and all the cross-architecture libraries to work together correctly can be like black magic. This is potentially the “killer app” for multi-arch: simply install the libraries for the target architecture directly on your development machine. Install a simple cross-gcc package and (maybe) qemu, and you’re all set. Steve: For me, Debian’s biggest problem has been the same for a long time: we are forever short of enough people to do the work that we’re trying to do. That might sound like a weird thing to claim when Debian is one of the largest Free Software projects on the planet, but it’s more a statement of just how huge our goals are. Many of the largest things in Debian are developed or controlled by very small teams working very hard, and there’s always a risk of losing people due to burnout in those situations. Some of the tasks that should be easy given our large membership (e.g. large-scale packaging transitions) can often instead take a very long time. We are fortunate to have more people wanting to join in Debian’s work all the time, but we also need to be careful to keep on promoting what we’re doing and recruiting new contributors, encouraging them to get more and more involved in core work. Debian gets ever bigger in terms of the size and the number of packages we distribute; we’re not currently matching that growth rate elsewhere. Steve: This one is much easier to answer! The thing that first attracted me to Debian was the fact that I could help to develop it, help to decide how things could and should be done within it. Instead of being forced to accept what some corporation decided I could do with my computer, I could change the software to suit my needs and preferences. Alongside that, I could get involved with a strong community of similar people all over the world, all with their own strong opinions about how software should work. Raphael: Do you believe that Stefano Zacchiroli will be the first DPL who managed to stay 3 consecutive years on the seat? Would you like him to candidate again? Steve: To be honest, I would be very surprised if Zack stood again for DPL this year. He told me himself that he wasn’t planning on it, and I can understand that decision. He’s been an awesome DPL in my opinion, and I’m glad that he took the job. But: it is also a very difficult and time-consuming task that would be enough to wear down anybody. If Zack does decide to stand again, I would support him 100%. But I know that we also have lots of other good people in Debian who would be ready to take up the challenge next. 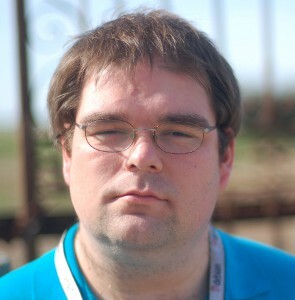 Christian Perrier is another exceptional developer, in my eyes – he’s great at co-ordinating people in translations, working tirelessly to make this very important part of Debian work better and better with every release. He’s also a really nice guy and we all love him. Finally, the teams of people who make sure that Debian is always working: the security team and DSA. The rest of us can choose to take time off from Debian to go and do other things, but these people need to cover things every day. That’s a major responsibility, and I salute them for taking on that challenge. Thank you to Steve for the time spent answering my questions. I hope you enjoyed reading his answers as I did. Note that you can find older interviews on http://wiki.debian.org/PeopleBehindDebian. 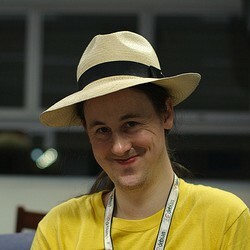 Ben Hutchings is a rather unassuming guy… but hiding behind his hat, there’s a real kernel hacker who backports new drivers for the kernel in Debian stable so that our flagship release supports very recent hardware. 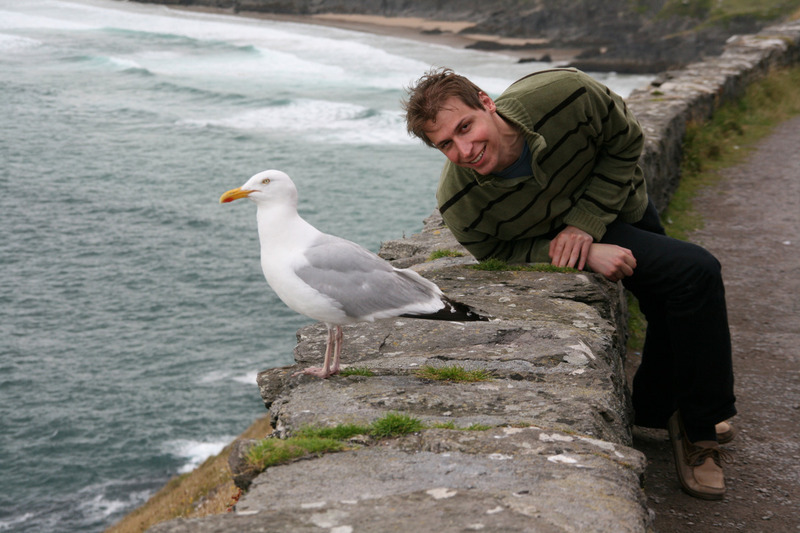 Read on to learn more about Ben and the kernel team’s projects for Debian Wheezy! 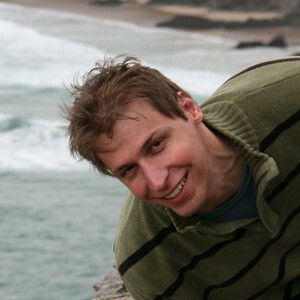 Ben: I’m a professional programmer, living in Cambridge, England with my long-suffering wife Nattie. In Debian, I mostly work on the Linux kernel and related packages. both been socially involved in Debian UK. In 2004 there was a bug-squashing party in Cambridge, and we attended that as well. That’s where I really started contributing – fixing bugs and learning about Debian packaging. Then in 2005 I made my first package (sgt-puzzles), attended DebConf, and was persuaded to enter the New Maintainer process. NM involved a lot of waiting, but by the time I was given questions and tasks to do I had learned enough to get through quite quickly. In April 2006 I was approved as a Debian Developer. Meanwhile, I looked at the videos from DebConf 5 and thought that it would be useful to distribute them on a DVD. That led me to start writing video software and to get involved in the video team for the next year’s DebConf. Raphael: You have been one the main driver behind the removal of non-free firmwares from the kernel. Explain us what you did and what’s the status nowadays? Ben: That’s giving me a bit more credit than I deserve. For a long time the easy way for drivers to load ‘firmware’ programs was to include them as a ‘blob’ in their static data, but more recently the kernel has included a simple method for drivers to request a named blob at run-time. These requests are normally handled by udev by reading from files on disk, although there is a build-time option to include blobs in the kernel. Several upstream and distribution developers worked to convert the older drivers to use this method. I converted the last few of these drivers that Debian included in its binary packages. In the upstream Linux source, those blobs have not actually been removed; they have been moved to a ‘firmware’ subdirectory. The long-term plan is to remove this while still allowing the inclusion of blobs at build-time from the separate ‘linux-firmware’ repository. For now, the Debian source package excludes this subdirectory from the upstream tarball, so it is all free software. There are still a few drivers that have not been converted, and in Debian we just exclude the firmware from them (so they cannot be built). And from time to time a driver will be added to the ‘staging’ section of Linux that includes firmware in the old way. But it’s understood in the kernel community that it’s one of the bugs that will have to be fixed before the driver can move out of ‘staging’. Raphael: Do you believe that Debian has done enough to make it easy for users to install the non-free firmwares that they need? binaries built from the firmware-nonfree source package includes driver and file names within its description. For the installer, there is a single tarball that provides everything. We could make this easier, but I think we have gone about as far as we can while following the Debian Social Contract and Debian policy. Raphael: At some point in the past, the Debian kernel team was not working very well. Did the situation improve? Ben: Back in 2008 when I started working on the Linux kernel package to sort out the firmware issues, I think there were some problems of communication and coordination, and quite possibly some members were burned-out. Since then, many of the most active kernel team members have been able to meet face-to-face to discuss future plans at LPC 2009 in Portland and the 2010 mini-DebConf in Paris. We generally seem to have productive discussions on the debian-kernel mailing list and elsewhere, and I think the team is working quite well. Several new contributors have joined after me. I would say our biggest problem today is that we just don’t have enough time to do all we want to. Certainly, almost all my Debian time is now taken up with integrating upstream kernel releases and handling some fraction of the incoming bug reports. Occasionally I can take the time to work on actual features or the other packages I’m neglecting! Raphael: It is widely known that Linux is maintained in a git repository. But the Debian kernel team is using Subversion. I believe a switch is planned. Why was not git used from the start? Ben: The linux-2.6 source package dates from the time when Linus made his first release using git. I wasn’t part of the team back then so I don’t know for sure why it was imported to Subversion. However, at that time hardly anyone knew how to use git, no-one had experience hosting public git repositories, and Alioth certainly didn’t offer that option. Today there are no real blockers: everyone on the kernel team is familiar with using git; Alioth is ready to host it; we don’t have per-architecture patches that would require large numbers of branches. But it still takes time to plan such a conversion for what is a relatively complex source package (actually a small set of related source packages). Ben: Something I’ve already done, in conjunction with the installer team, is to start generating udebs from the linux-2.6 source package. The kernel and modules have to be repacked into lots of little udebs to avoid using too much memory during installation. The configuration for this used to be in a bunch of separate source packages; these could get out of step with the kernel build configuration and this would only be noticed some time later. Now we can update them both at the same time, they are effectively cross-checked on every upload, and the installer can always be built from the latest kernel version in testing or unstable. I think that we should be encouraging PC users to install the 64-bit build (amd64), but many users will still use 32-bit (i386) for backward compatibility or out of habit. On i386, we’ve slightly reduced the variety of kernel flavours by getting rid of ‘686’ and making ‘686-pae’ the default (previously this was called ‘686-bigmem’). This means that the NX security feature will be used on all systems that support it. It should also mean that the first i386 CD can have suitable kernel packages for all systems. I have been trying to work on providing a full choice of Linux Security Modules (LSMs). Despite their name, they cannot be built as kernel modules, so every enabled LSM is a waste of memory on the systems that don’t use it. This is a significant concern for smaller Debian systems. My intent is to allow all unused LSMs to be freed at boot time so that we can happily enable all of them. I recently proposed to drop support for older x86 systems, starting with 486-class processors in wheezy. In general, this would allow the use of more compiler optimisations throughout userland and the kernel. However it seems that there isn’t that much to be gained unless we also drop 586-class processors, and there are still quite a few of those in use. So I think this will have to wait. Ben: I think we try too hard to accommodate every possible option, without regard for the cost to developers and users in general. As an example, we now have sysvinit, file-rc, upstart and systemd all in testing. Daemon maintainers can’t rely on any advanced features of upstart or systemd because we refuse to choose between them. And the decision to support the FreeBSD kernel means that we cannot choose upstart or systemd as the only option. So all daemon maintainers will have to maintain those baroque init scripts for the indefinite future. We really should be able to decide as a distribution that when one option is technically good and popular then it can be made the only option. But no-one really has the authority to do that, so we muddle along with the pretence that all the options are equally valid and functional, while none of them is supported as well as they should be. We also try to build every package on every architecture, in general. I’m quite sure there are many (package, architecture) combinations that have no users, ever. But if at some point that combination FTBFS, developers will waste time investigating and fixing that – time that could have been spent working on bugs and features that users actually care about. Yes, sure, portability is good but you can’t prove portability just by making a package compile on every architecture. This also applies to the selection of drivers for the kernel, by the way. Steve McIntyre, for his work as DPL to improve communication with the various Debian derivatives and to bring fresh blood into various core teams. Also for being a generous host for countless Debian social and bug-squashing events. Stefano Zacchiroli, for improving further on communications with both downstream and upstream projects, and for regularly exercising his power to lead discussions to the benefit of the project. Julien Cristau, for maintaining good humour while not only fighting against the tide of graphics driver regressions in X and the Linux kernel but also working on release management. Jonathan Nieder, for taking on the unglamorous and frustrating task of kernel bug triage as a non-maintainer and developing it to a fine art. Thank you to Ben for the time spent answering my questions. I hope you enjoyed reading his answers as I did.